Yesterday I submitted my post Fake News with photos of Fake Scientists to Reddit in subreddit inthenews. 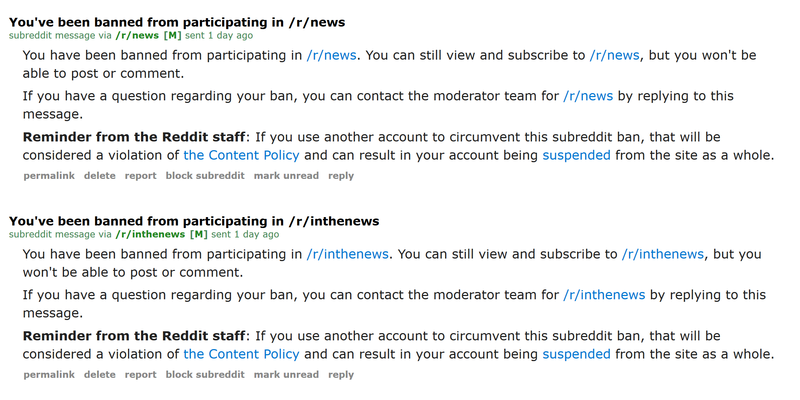 It received one positive and one negative comments, and then I was banned from inthenews and news. Another confirmation that Internet news are pwned by the Left. The post links to archived version of the Guardian article, because even the formerly mainstream outlets stealthily change their articles after publication .